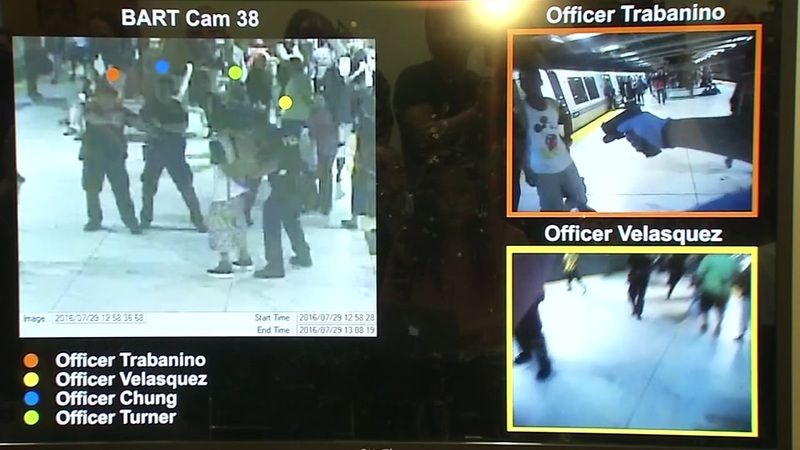 SAN FRANCISCO -- San Francisco prosecutors Friday said they will not retry a man accused of battery on a police officer in a struggle with BART police that was captured on bystander video this summer. Michael Smith, 22, was acquitted on Dec. 14 of four counts of misdemeanor battery on a police officer in connection with the July 29 incident. Jurors hung, however, on two other counts of battery on a police officer, one count of resisting arrest and a lesser charge of simple battery, and prosecutors could have chosen to refile charges. BART officials have said officers were responding to a 911 call from a man who claimed that a man on the train had threatened to rob him and might be armed when they confronted Smith and his girlfriend at Embarcadero Station as they exited a train. During the ensuing struggle, BART police alleged that Smith bit, kicked and spat on officers while resisting arrest. The incident was captured on video by bystanders and triggered some controversy, as it appeared to show police punching Smith in the head while he was pinned on his back. Public Defender Jeff Adachi, who chose to handle the case personally, has characterized the case as an example of racially biased policing, with officers overreacting to a report that turned out to be false. He said Smith and his girlfriend had been subjected to possibly racially motivated remarks from a white male passenger, accusing the woman of smelling bad, and were attempting to get away from the man when they left the train. Smith struggled with officers when he saw them putting their knees in the back of his girlfriend, who was pregnant at the time, Adachi said. BART spokeswoman Alicia Trost said an internal affairs investigation into the incident is still in progress. She declined to comment on the decision to drop the case, saying only that it was a matter for the district attorney's office. Adachi was not immediately available for comment.